PRODUCT: #SPG134 1-3/4 in. 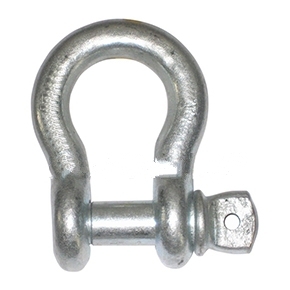 Forged Steel Screw-Pin Anchor Shackles, 2 inch Pin Diameter X 12-3/8 Overall, Hot Dip Galvavized, 50,000 lb. Capacity. Price/Each.